The retail landscape is ever-shifting. Gone are the days when it took years for a seismic game-changing idea to be developed. Changes are coming thick and fast and from all angles, forcing retailers to keep on their toes and remain a step ahead of consumer trends, patterns and behaviours. In such a competitive and cut-throat industry, resting on your laurels can prove highly detrimental to your business. While it’s apparent that brands that thrive are agile and adaptive, for many retailers, keeping up can be hard enough, let alone getting ahead. As we move into a new year, this begs the question; how can retailers remain on the forefront in 2018? With the rise of mobile technology in recent years, ensuring your business has a strong mobile strategy is arguably one of the most important priorities this year. Or at least, it should be. From online shopping, researching products, comparing prices and making payments, consumers are now doing everything on their smartphones. It’s therefore not surprising that, according to MarketingLand, by 2019 mobile advertising is expected to represent 72% of all U.S. digital ad spend. Meanwhile, application-to-person (A2P) messaging, commonly used by businesses to send bulk SMS to customers, is also expected to grow from $55.6billion this year to $78.6billion in 2022. It’s clear that the importance of a strong mobile strategy in 2018 cannot be overstated. But how can you ensure your retail business is benefiting, and not suffering, from the shift to mobile-first? Today, mobile and tablet internet usage exceeds desktop use and accounts for over 51% of internet usage worldwide. The importance of optimizing your website to capture this growing category of users, therefore, is paramount. If that’s not a compelling enough reason, consider this; the world’s most popular search engine, Google, says 61% of users are unlikely to return to a mobile site they had difficulty accessing and 40% will subsequently continue on to a competitors site. This means if your website is slow, customers are unlikely to even wait for the landing page to load! Your website should have a clean, streamlined design, making it easy for mobile users to access information quickly and easily. Make sure that your mobile site is being identified by search engines as intended. Using Google’s “Fetch as Google”, you will be able to see how your web pages appear when crawled and troubleshoot any issues. Optimizing your mobile pages will improve the performance of your site. A great place to start is by reducing the virtual size of pages on your mobile site. This can be achieved through the use of low-resolution images and Dynamic Serving. Ensure your site is easy to navigate. A strong mobile website will offer easy and convenient navigation to its users by integrating a visible navigation bar, a search bar and other important elements of a website. For a more detailed look at how you can successfully optimize your mobile site, take a look at our article on Four simple tips to improve your mobile site. Mobile phones provide an intimate and direct channel to consumers. According to Nielsen 91% of adults have their mobile phone within arm’s reach, 24/7. 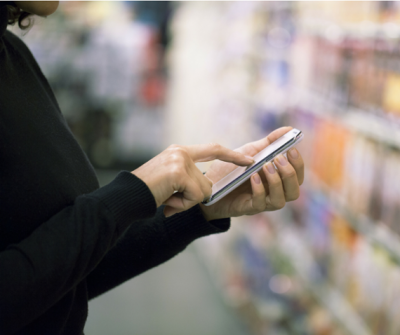 This offers an unparalleled opportunity for retailers to connect with and influence shoppers. One of the most effective ways to take advantage of the shift to mobile is through SMS technology. SMS is unrivalled in terms of open and engagement rates with research showing the average open rate for SMS is around 98% with a response rate of 45%. Below are some of the ways your retail business can take utilise SMS technology and text messaging services to stay ahead in 2018. Customers love hearing about sales, offers and promotions. And, according to an Open Market research poll, the majority (64%) of these customers prefer to receive this information via SMS. The research paper also shows that 75% of millennials prefer SMS messages for news and promotions and 77% of consumers have a positive perception of companies who utilise text messaging. If you’re not currently incorporating bulk SMS marketing into your mobile strategy, 2018 could be the year to start! One of the many advantages of SMS is that it enables retailers to deliver targeted messages to customers, no matter where they are. This can be particularly valuable when it comes to coupons and special mobile deals. Coupons sent via SMS can be swiftly and easily redeemed by customers, without any need for printing or carrying around. Perhaps this explains why, according to Restaurant Report, SMS coupons see a 1000% higher buy rate than print coupons. Sending instant personalised order confirmations and regular delivery updates help facilitate a seamless customer experience. 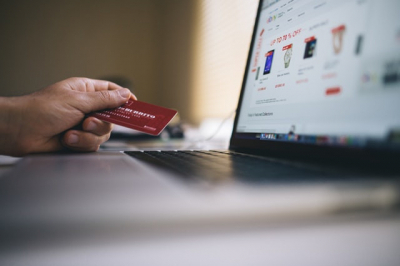 A positive end-to-end customer experience, that continues even after a transaction has taken place is critical in today’s retail environment in ensuring customer loyalty and repeat business. SMS is much more than simply a platform for pushing information. It can also be utilised by retailers for receiving information back from customers using 2-way SMS. As such, it is an ideal tool for gathering valuable insights and feedback, which can then be used to enhance your offering. When customers make a purchase, send a friendly thank you message and request for feedback. Simply ask your customers if they had a good or bad experience. Shoppers who didn’t like their experience can then be directed to fill a form giving you the opportunity to respond to them and gather valuable insights. Customers who had a good experience could then be sent an SMS review request linking them directly to where they can leave a review. Email marketing remains a popular and widely adopted tool for businesses, allowing marketers to send targeted, relevant, and behaviour-based messages to customers and subscribers. As useful as email communication is, however, the channel has its challenges. The open rates for email generally fall between 20-25%, which justifiably leaves some marketers a little underwhelmed. By incorporating SMS, however, you can drastically increase your email open rates resulting in higher response rates. In fact, follow-up SMS messages have shown to increase email open rates by up to 30%. And it’s easy. A simple “have you read our email” reminder text is all it takes. In this mobile age, smartphones are now integral in the way consumers engage with brands and retailers. From online browsing and product research, through to decision-making, transactions and delivery confirmations, mobile phones are now a primary touchpoint in retail. The implications of this shift are unambiguous; if mobile does not already form the backbone of your digital marketing strategy as a retailer, in 2018 it certainly should.